Did you do a double take on that title? I know I sure did. Laundry is in no way fun or exciting for Momma’s out there. I constantly feel like I am washing and folding and putting clothes away and it’s probably because I am! Since Laundry is such a huge part of everyday life, it’s important that we do all we can to make sure the laundry is being done in a way that is great for our family and great for our environment. Your skin is your largest organ, so you do all you can to take care of it. So why are you not reading the back of those detergent bottles that you wash your clothes in that then you put on your skin? 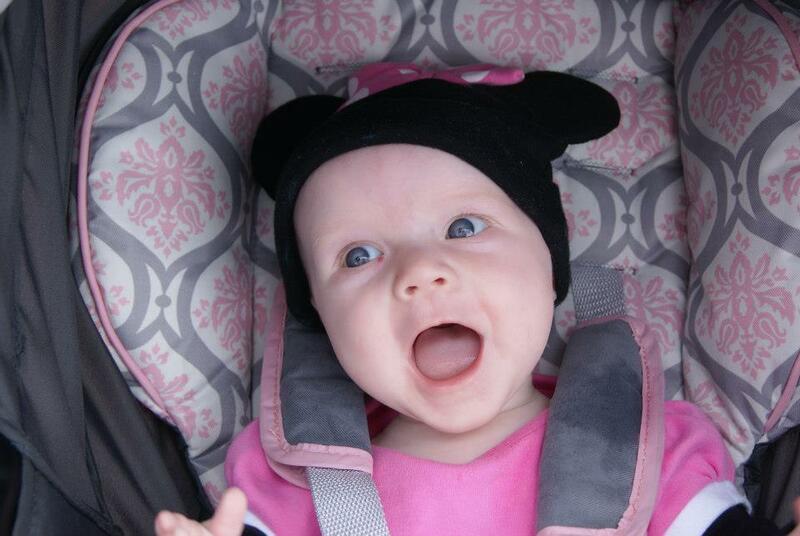 Maisy is now five months old. Ever since we brought her home from the hospital she has had some kind of rash. 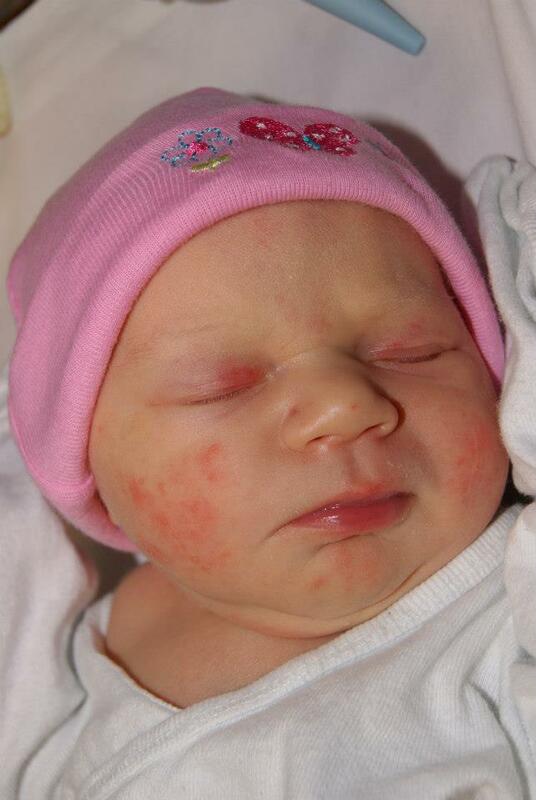 It broke out across her cheeks just minutes after being born. When we brought her home and gave her her first bath, we watched it spread down her arms, her legs, and even formed patches on the sides of her face. This rash was more than the expected baby-acne most infants deal with, this was something serious. We evaluated anything that came in contact with Maisy, including baby soaps and the sweet smelling detergent we had been washing everything from her little sleepers to her lovie blankets in. When we cut everything out, the skin rash cleared and her skin was baby smooth again. Our doctor told us Maisy likely had an allergy to the synthetic fragrances and dye found in the soaps, lotions, and detergents we had been using. She told us to switch to brands specifically for babies. That’s when I took a step back. I was using all “baby” brands. Dreft, Johnson and Johnson, Huggies; how much more “baby” can you get? That’s what got me thinking, every thing I ever bought for Maisy was labeled as being for babies. So how could my child be having an allergy to something that was made for babies? So I started doing some research and realized just how screwed up those labels are! We stopped using anything that was not natural, and wouldn’t you know her face cleared up so well! So back to the laundry. 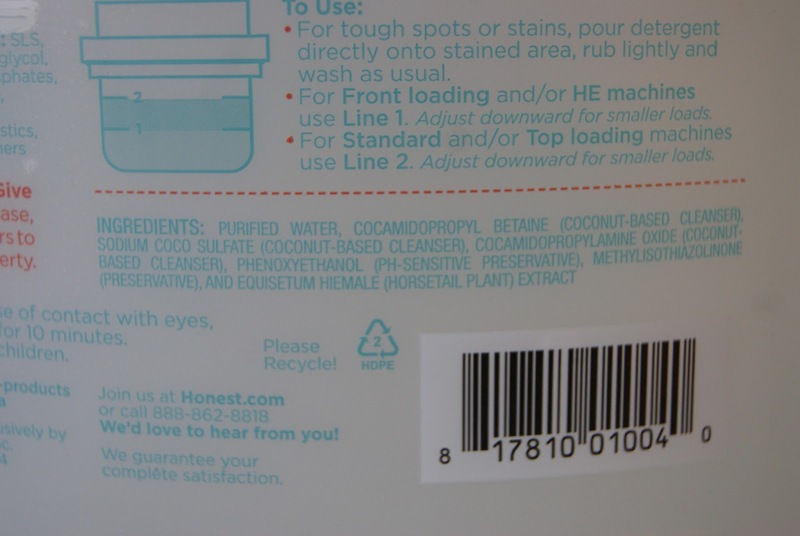 I’m going to go through and compare some laundry detergents (1 for family use, 1 labeled for baby use, and 1 eco-friendly brand) to show you all the unnecessary things going into your wash, onto your clothes, and against your skin! 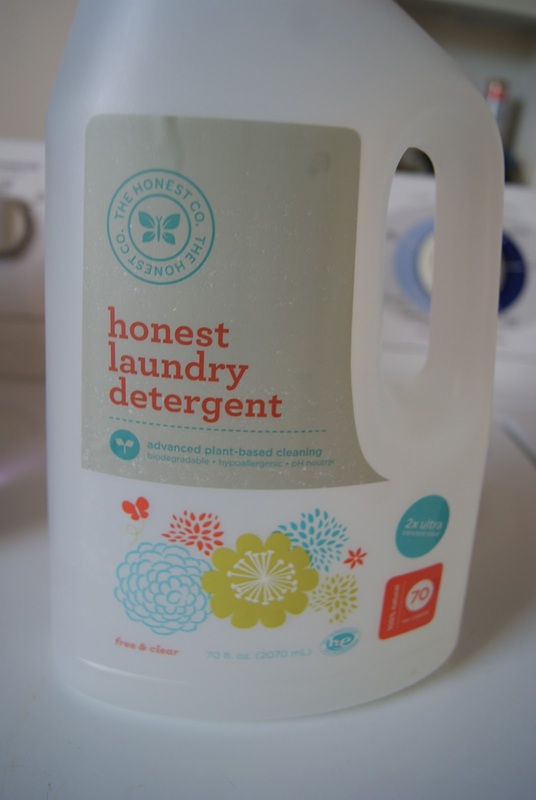 Finally, I’m going to show you some great eco-brands that will combine your laundry (no more detergents for different family members!) and leave a much smaller impact on our earth. Before we dive in, let me stress the best tip I can give you about bringing new products into your home, READ EVERY LABEL. And, as an extra, understand what a label is really saying! 1.) Hypoallergetic. We think it means that the ingredients used to make the product were chosen to be sensitive to allergies. Actually, companies are free to define this as they well please. 3.) Organic. We think this means it was made with 100% all organic materials. 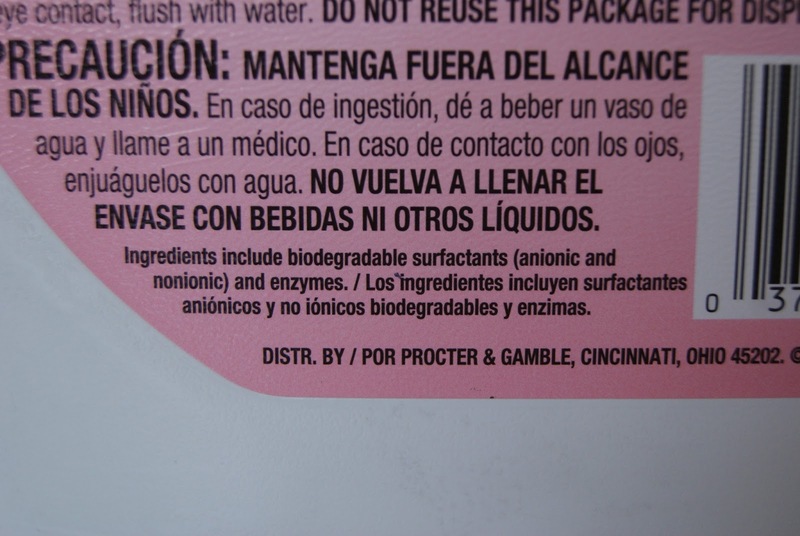 Companies can claim this if they have as little as 1% organic materials in their product. If organic is important to you, buy products that list what percent of their ingredients are USDA Certified Organic. Aim for as close to 100 as possible! 4.) Natural. We want to believe this means that the ingredients in the product are all-natural, plant based materials. Sadly, companies are free to define this as they please. Bummer, huh? 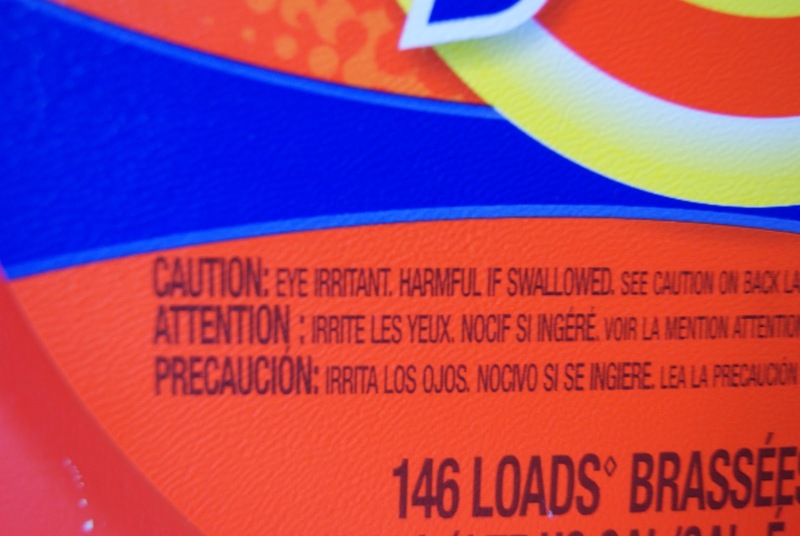 Now that we know what to avoid on our labels, let’s start with the family brand or detergent. I’m going with what we used to use in all our laundry, Tide. 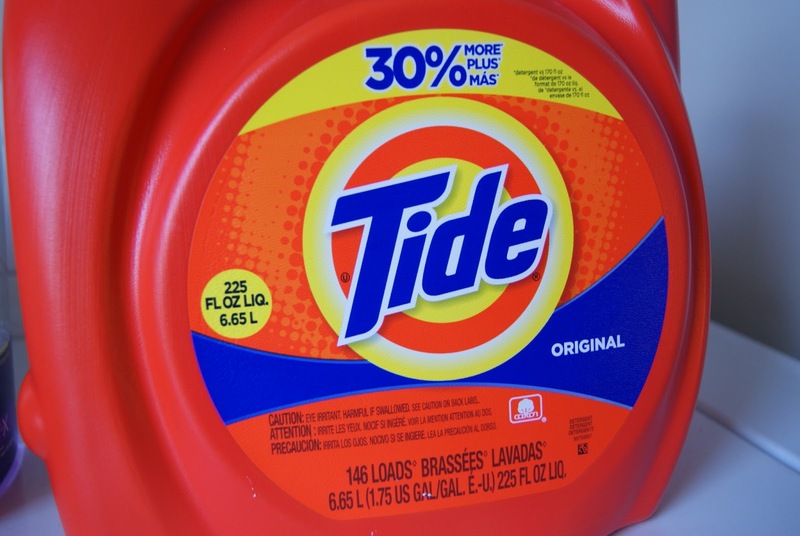 My parents used Tide my entire childhood, so when I was buying detergent for my family naturally I reached for it. 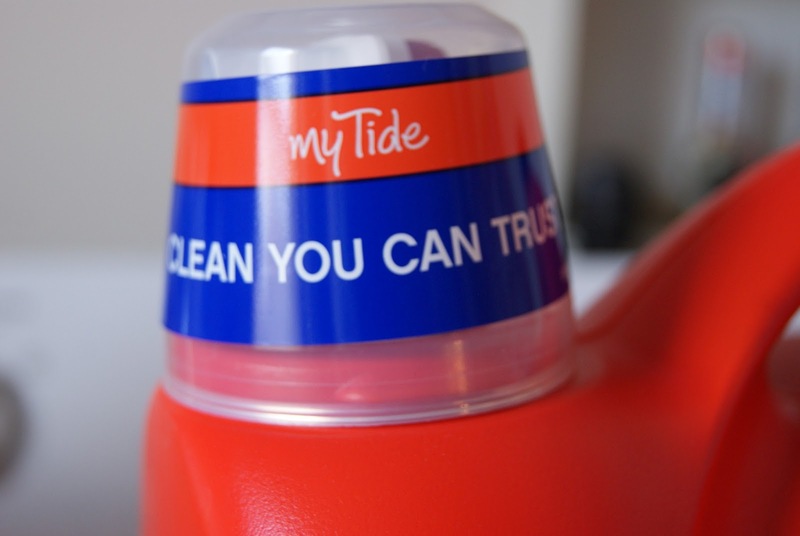 Tide contains some nasty stuff including artificial coloring, called Liquitint Blue, artificial fragrance, propylene glycol (a skin irritant, and known toxin), ethanolamine (an immune and respiratory toxin, and skin allergen), and diethylene glycol (found unsafe for use in cosmetics, and some evidence points to it being a reproductive and liver toxin). Does that sound like a clean you can trust? The problems with artificial fragrances are that they likely contain phthalates, a wide range of chemicals that can be used as everything from plasticizers to fragrances. And since chemical combinations to make a fragrance are considered trade secrets, companies don’t have to tell you what they put in it. Ask yourself, does it matter if you see your soap bubble, if the color is blue, if it smells really nice, if it means putting all this gunk against your skin? 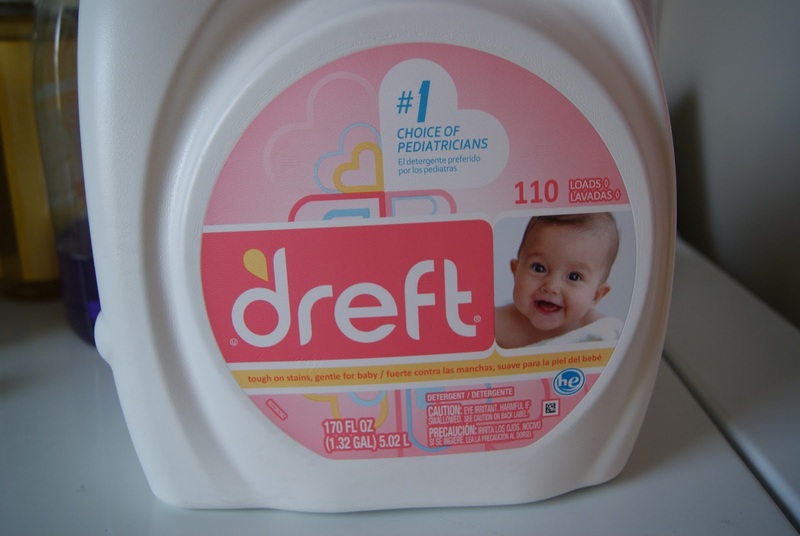 Now let’s talk about Dreft. As a baby detergent, the labels on this thing seem to be exactly what you’re looking for. 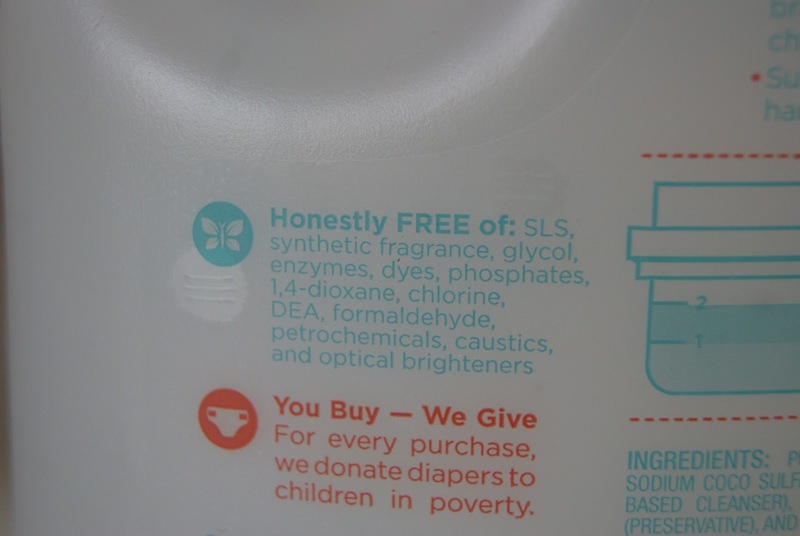 It implies that it is baby-safe so we assume it is free of all kinds of harsh chemicals. So what makes it a “baby-safe” detergent. Well, basically the baby-sweet smell and the lack of bright colors. I can’t seem to find anything else, can you? Not only does the label tell you exactly what’s in it (no secrets here) it’s all in language you can understand. Plant based ingredients, natural fragrance from essential oils, the same cleaning power. See why maybe a natural detergent would be better? Tomorrow we’ll talk about the greenest ways to do your laundry (including those cloth diapers! ), and how to save on some costs as well. I’ll also have a recipe to make your own laundry detergent! Till then, ditch the old detergent! Stay up to date with all things Ally Jean by liking my page on Facebook!